In a somewhat unexpected power move Myspace Japan now accepts your Yahoo Japan login details. I say it’s somewhat unexpected because Softbank has a share in both Yahoo Japan and Myspace Japan. So a partnership between the two services wasn’t as far fetched as one may think. What this means is that Myspace Japan has positioned themselves to offer a credible challenge to the leader of social networking in Japan, MIXI. Yahoo is huge in Japan. While Google dominates the search here in America, Yahoo commands 50% of the search engine traffic and 65.9% of the mobile search market in Japan. 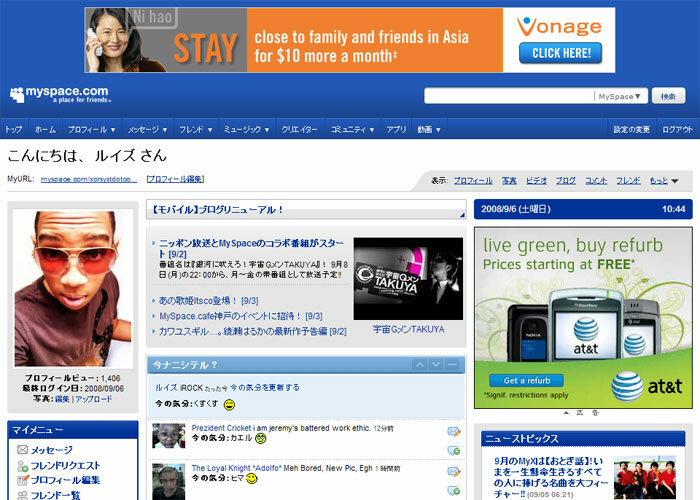 Myspace hasn’t seen much growth in Japan. However, if Yahoo decides to start promoting their Myspace partnership on their front page, we shall have an interesting competition for social media in Japan. For more information, read Ozzie’s post.